Another year, another Jorn release! You’d have to go all the way back to 2005 to see a year where Jorn didn’t release something. So what do you get when Wig Wam’s Trond Holter & Bernt Jansen join up with Jorn Lande? One great catchy metal album! Holter ended up co-writing most of the album with Jorn and, wow, with spectacular results! 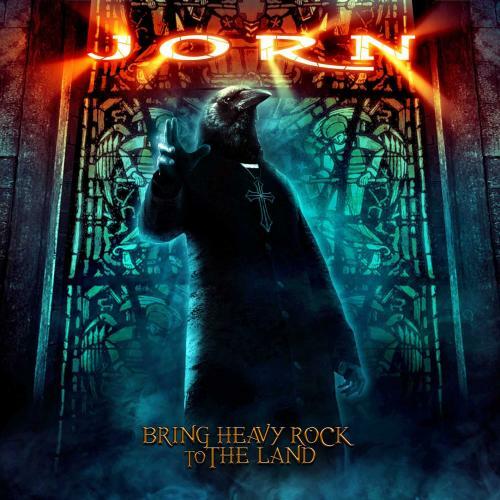 Jorn has always delivered wonderfully produced, powerful & melodic heavy metal (I suppose Jorn would call it “heavy rock” though) and the addition of Holter as a songwriting partner has only helped matters. It’s a bit surprising that Jorn would give us a new studio album just a year after Bring Heavy Rock to the Land but when you’re loaded with such a fantastic collection of songs, why not? I enjoyed the previous album but I can already tell you this album is much, much better from top to bottom. Of course, what Jorn album would be complete without some type of tribute to Ronnie James? “The Man Who Was King” is another song Lande has written about Dio and I would imagine “Cancer Demon” probably is in reference to Ronnie’s battle with cancer. To be honest, while I enjoy these tributes and appreciate Jorn’s obvious love and respect for the man, I do think it’s time to move on to new territories. Lande does great covers, so I’m always up for him to throw one or two cover songs onto an album, I don’t want that to stop… but I think the time is right to start paying tribute to other rock ‘n’ roll heroes. 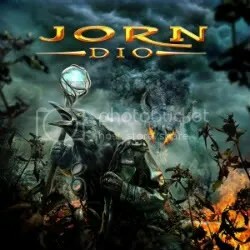 At the rate Jorn is going, we could start putting together an anthology of Jorn’s Dio covers and songs written about Dio soon! Regardless, this album is a monster of crunching riffs and Jorn’s amazingly powerful voice (which is worth the price of admission alone). “Overload” and “Rev On” would be my favorite tracks here. Traveller is definitely one of the year’s best releases. Not a dud track in the bunch. 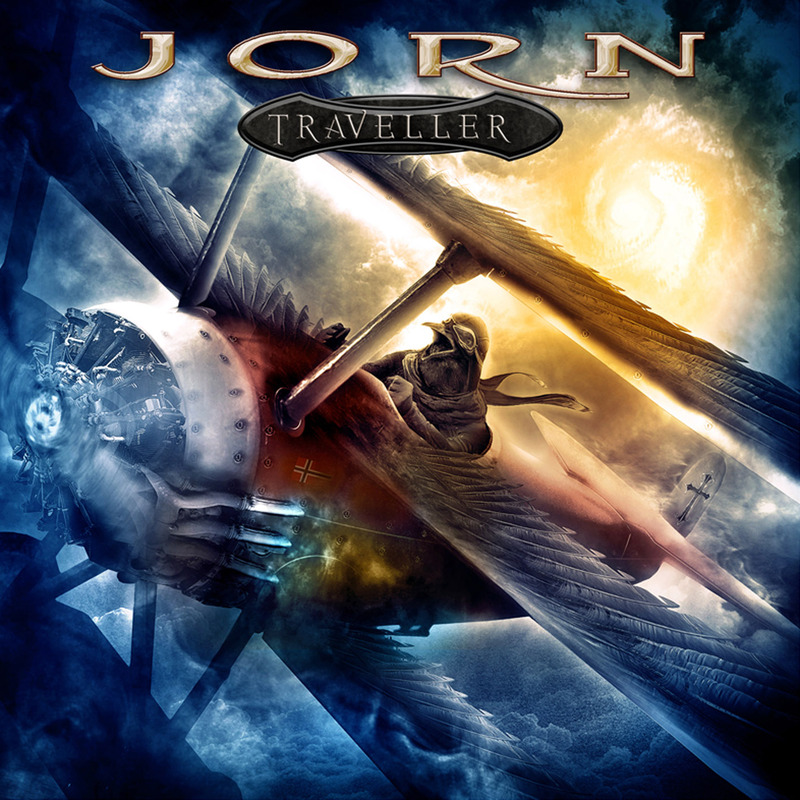 Jorn continues on with his very enjoyable blend of melodic metal and ’70s inspired heavy rock and that makes for one heck of an album! Buy the album at Amazon.com! 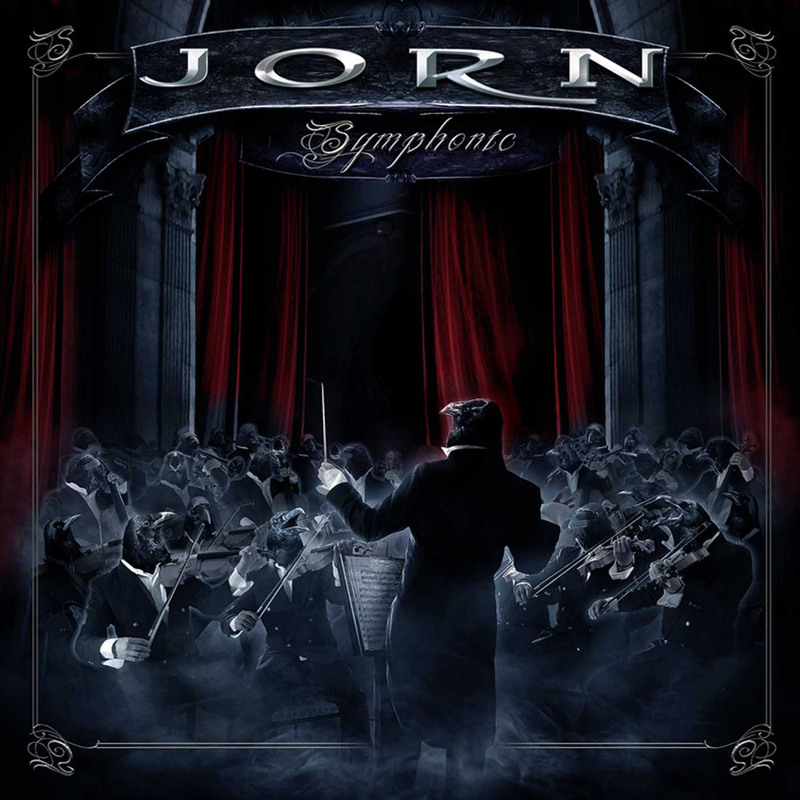 Symphonic is a collection of Jorn’s songs, handpicked by Jorn Lande himself, that have been given a remix and orchestral makeover. Even dating back to when Metallica did it, adding orchestral arrangements on top of hard rock/heavy metal is a hit-or-miss affair. It’s hard to make a song work with an orchestra when they weren’t written with that in mind. Still, it can work depending on the song and as I mentioned, a number of these songs were actually remixed to better suit the orchestra element. I’ll be the first to admit that I’m no expert when it comes to Jorn Lande or the various projects he’s been a part of. It’s only in the last few years I’ve begun to listen to his music but I do recognize some of the songs here like “A Thousand Cuts”, “Time To Be King”, “The World I See”, “Black Morning” and his Dio/Black Sabbath covers. It’s no surprise that the more powerful numbers like “A Thousand Cuts”, “Time To Be King” and “The Mob Rules” are my favorite out of this bunch. There’s no tampering with those songs to make way for an orchestra. Get in where you can fit in. Mileage will vary on this album. I guess it really all comes down to ‘How much do you like symphonic rock?” Symphony isn’t a necessary release, there’s not one new song in the bunch, but it’s fine for what it is. It’s a satisfying placeholder until the next Jorn album comes along (which shouldn’t be long given this guy’s hectic schedule). No one can ever fill Ronnie James Dio’s shoes but darn it if Jorn Lande isn’t at least making a respectable attempt! Jorn has one of the most powerful voices in rock these days and it’s obvious that his vocals and music have been inspired by Ronnie James (he did do an album of covers called Dio after all!). Just amazing stuff whether he’s singing with Tobias Sammet in Avantasia, Masterplan, covering Dio or performing his own solo material. The song “Bring Heavy Rock to the Land” is just that… heavy rock. It’s a real old-school slowed down menacing rocker that sounds exactly like something of out the Dio playbook. Even the album’s bonus track “Live and Let Fly” sounds like something early Dio Sabbath would’ve done. “A Thousand Cuts” is my favorite track from the album. There’s some real heaviness going on here with a bit of a modern touch. Great riffing. “Ride Like The Wind” caught me off guard. It sounded familiar to me then I realized it’s a cover of the Christopher Cross song! Of course, the song has been converted to “heavy rock” and it sounds wonderful and epic. It actually makes sense to make this song a heavy rocker when you consider the outlaw lyrics. “Time To Be King” is another highlight. It’s actually Jorn covering himself. The song originally appeared on the Masterplan album of the same name. I prefer this take of the song over the Masterplan version. “Black Morning” is a great laid back number. I don’t know if it is a cover or not but it has a familiar vibe to it. Getting back to the heavy rock theme… the whole album is rooted in classic hard rock – aka – “heavy rock”. Dio, Sabbath, Rainbow, Whitesnake… All of the elements are here and Jorn & Co. have brought it all together and made one fantastic album. Bring Heavy Rock to the Land is a must-own album for all old-school hard rock fans. This is really a culmination of all of Jorn’s influences. One of 2012’s best albums. This album was quite a surprise that shocked the metal world for a short time. I believe it was only a week or two after Ronnie James Dio’s passing that a press release was sent out announcing Jorn Lande’s Dio tribute album would be arriving soon. Many people were confused and upset over this. Was Jorn exploiting the memory of Ronnie James? How would he have recorded this album so quickly? Well, soon the word got out that this album had been in the works since 2009 and it had the blessing of Ronnie and his wife Wendy. So all was good in the world again and the metal community then began to anxiously await Jorn’s take on some Dio classics. The album features a few Black Sabbath, Heaven and Hell and Rainbow tunes but it mostly focuses on the Dio band. 5 songs come Holy Diver and the next in line (not an intentional pun!) is Dream Evil, which is represented with 2 songs. I was pleasantly surprised by the track listing. Do we really need another cover of “Holy Diver”, “Long Live Rock ‘N’ Roll”, “Heaven and Hell” or “Rainbow in the Dark”? No. Instead, we get some less obvious, but still great, choices like “Push” (from 2000’s Magica album! ), “Invisible”, “Lord of the Last Day”, “Sacred Heart” (maybe my favorite song from the Dio band) and “Sunset Superman”. I really would’ve liked to have heard something from the Killing the Dragon album as well, I think that’s one of Dio’s best albums. If there are a few complaints I could make about the song choices, it’s that I would have liked to have heard Jorn cover some of Rainbow’s more epic songs like “Stargazer” or Dio’s “The Last In Line” (even “Stars” would’ve been fun). I guess those count as “obvious” covers but I really would have loved to hear Lande’s voice on those pieces. And what a voice! Though I’m not in love with much of Jorn’s original work, you can’t deny he has a fantastic voice. Had he been around in a previous era, he’d probably be considered one of the all-time great rock singers. In this day and age, if anyone can do Ronnie James Dio justice, it’s Jorn Lande. In fact, if Tony Iommi and Geezer Butler are interested in doing something other than a reunion with Ozzy, I would love for them to work with Jorn on some original material. The songs are pretty straight-forward covers. There’s no experimentation being done here, which is fine. If you’re like me, you didn’t buy the album to hear them fool around with the songs. You bought it to hear Jorn’s voice and he doesn’t disappoint. Given the advances in technology since the originals came along, it’s also nice to hear re-recorded versions anyway. There is one original song: “Song For Ronnie James”. When I first heard it, I didn’t like it and thought it was very cheesy but it has grown on me. If you’re a huge fan of either Ronnie or Jorn, I think this is an album you need to have in your collection.